LOS ANGELES, Calif. /California Newswire/ — In looking ahead to the New Year, the BIA Southern California Remodelers Council and staff are excited to announce their up-coming educational programs as well as their business building opportunities for 2014. The February lineup includes the IBS (International Builders Show) NAHB Annual Tradeshow February 4 to 6, 2014. The BIA-SCRC 2014 kicks off the year with the Title 24 Remodel Standards Seminar on January 30 at the S.C. Gas Co. Energy Resource Center located at 9240 Firestone Blvd. in Downey, CA 90241. Continental breakfast will be served at 8 a.m. and the seminar will begin promptly at 8:30 a.m. and end at 12 p.m.
"Building on the tradition of providing state-of-the-art, multi-state certified training in the areas of contracting and remodeling, we strive to be the pulse of industry training and information by adapting our programs to the industry's changing needs," stated current BIA-SCRC president Jeremy Barela. He added, "New this year, we have introduced new remodelers' business tools that help gage where the best markets are in your area. The council will also be adding market watch meet-ups for interested contractors, interior designers and builders of all types that want to expand their businesses. The dates will be announced on our new meet-up page. The 2014 schedule really speaks to the needs of our members and remodelers' et al. Our education schedule is viewable on the So Cal Remodeling Council website at socalremodeling.org." California's Building Energy Efficiency Standards are updated on an approximately three-year cycle. The 2014 Standards will continue to improve upon the current standards for new construction, additions and alterations to residential as well as nonresidential buildings. Members and other interested parties may join the council at the first board meeting of the year which is also located at S.C. Gas Co. Energy Resource Center in the Energy Options Room following the seminar. The February lineup includes the IBS (International Builders Show) NAHB Annual Tradeshow February 4 to 6, 2014 from 9 a.m. – 5 p.m. which will be held at Las Vegas Convention Center, 3150 Paradise Road, Las Vegas 89119. The So-Cal Remodelers Council is offering multi-state certified courses in the areas of Marketing & Communication Strategies for Aging & Accessibility (Certified Aging In Place I) on February 13, Design/Build Solutions For Aging & Accessibility (Certified Aging In Place ll), February 14 and Business Management for Building Professionals on February 15. The location for the courses is Keystone Pacific Property Management, 16845 Von Karmen Ave. 2nd Floor – Ascendore Room, Irvine, CA 92606. The courses have been designed for remodeling, building and construction professionals to expand their industry knowledge and stay on top of industry trends to find more financial success. In addition California statutes, these courses are also approved for continuing education for other contractor's state licenses. The Certified Aging In Place I course will help you take advantage of one of the fastest growing market segments in remodeling and related industries. Maturing Americans are looking to revitalize their home environments. Learn best practices in communicating and interacting with this evolving population. Identifying opportunities and developing the skills to interact with 50+ customers can help you grow your business dramatically. The Certified Aging In Place II course will help you understand the guidelines and requirements of accessibility, the importance of doing an assessment with input from occupational and physical therapists as well as qualified health care professionals, and the significance of good design in making modifications that can transform a house into a safe, attractive, and comfortable home for life. The Business Management for Building Professionals course is designed for the new or experienced business owner. Learn the management skills that give industry leaders the edge. This course will give you a solid foundation for managing small to medium size building/remodeling and service companies. BIA-SCRC members are committed to the long term health of their businesses. As a subsidiary of the National Association of Home Builders, BIA-SCRC acts as an unofficial "board of directors," helping to guide fellow members through the issues that they face. The BIA-SCRC is based on collaboration and our collective experience spans marketing, sales, production, client service, finance and design. Members can take advantage of the numerous savings programs, PR opportunities and more. 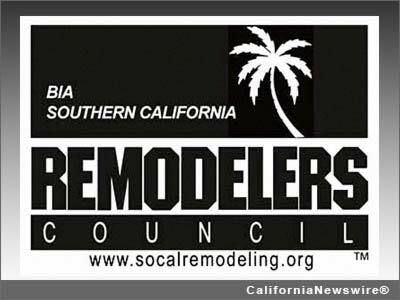 To register for courses or membership, visit http://socalremodeling.org/ – or to see the new meet-up page, visit http://www.meetup.com/So-Cal-Remodelers-Council . Media Contact: Terry Akins PR, +1-818-415-6922.